every color in the rainbow awaits. In Tokyo, there is an artist’s dream come true: thousands of pigments with names like “Autumn Mystery” and “Luxury Twinkle” line the neat, airy bamboo shelves of a store called Pigment. 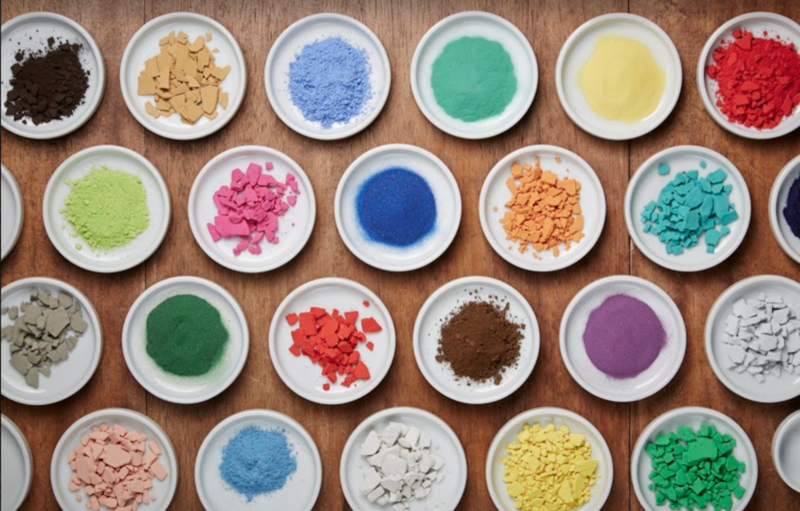 Pigment is dry concentrated color dust used to give fabric, ink, plastics, and, of course, paint their hue. By adding a binding agent like oil or glue to the powder, the pigment becomes adhesive. It’s an older style of paint-making as opposed to purchasing paint pre-mixed, but many artists prefer it for its simplicity and versatility. The store also sells other traditional Japanese painting supplies like brushes, papers, frames, natural animal glue, and ink stones. Pigment the store is just as beautiful as its contents. It was designed by renowned architect Kengo Kuma, whose work connects ancient principles of Japanese art and ideology to the modern day. Much like pigment, it’s simple, natural, and basic but elegant too. 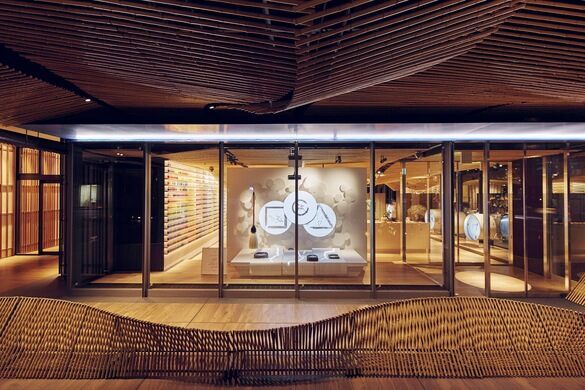 The store is made almost entirely of bamboo with gently waving lines, lots of open space, and light. The store does ship art supplies ordered online, but Pigment’s physical store and displays are something to behold.